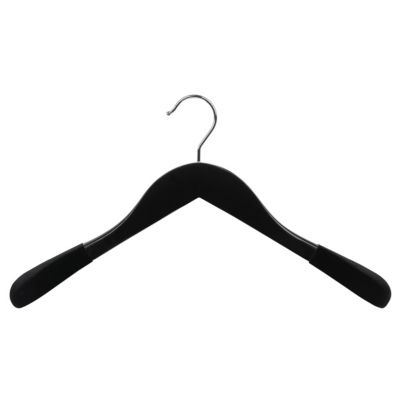 Our most luxurious black and dark wooden display hangers with sumptuous velvet flocked shoulders adding a non-slip quality in the most stylish way possible. Sold as a box of 12 hangers. 46cm Wide.